If Halloween party is only filled with Halloween movies, adorable candies, creepy masks and distinctive costumes, it's not enough. To make your party more distinguished and unique this Halloween, it's necessary to prepare some funny and spooky Halloween party songs that let your party buddy sing along, dance to or even act out from the music. In fact, there are many Halloween party playlists claiming that they have the best Halloween party songs for kids and adult. 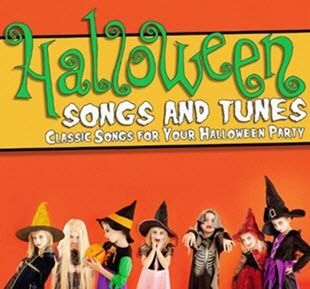 But such songs for Halloween-themed party usually come with single theme. For those who want to fill the party with more diversity, the following representative party songs for Halloween with vampire theme, country style, witch element, etc will suit your need and finally throw you in the scary mood while joining the Halloween party with these music. This theme song is a must have for Halloween parties because everyone associates this song with Halloween and that's exactly why you can't leave it off the Halloween party playlist. This is a popular song from Van Halen that makes it one of great Halloween party songs. The atmosphere will be a little spooky at this Halloween party especially when you hear the words "Runnin' with the Devil". I had never heard this Elvis Presley song but this makes a great, peppy Halloween music and livens up party. This is not the same as the Sinatra version. Easily download any Halloween party songs, playlist, spooky music, scary songs, horror movie soundtracks, in MP3, from YouTube, Facebook, Vimeo, etc, and convert the downloaded horror viddeo songs to MP4, AVI, or other formats playable on iPhone iPad Android. Save them as ringtone for your mobiles with MacX Video Converter Pro. If you like Halloween songs with monsters that go bump in the night, you can try this song as it is a perennial must-have for Halloween party. Even if you're a little tired of it, you have to admit, you can't live without it when Halloween rolls around. "There ain't no monsters in this joint as scary as a human being." I think that says it all about this Halloween song. A perfect Halloween entry from the Warren Zevon, who also famously sang "I'll Sleep When I'm Dead," is this howling Me Generation rocker that rose to No. 21 on the Hot 100 in 1978. If you like it, don't leave out this song when organizing Halloween parties. So just put it into your Halloween party playlist. If the abovementioned monsters and witch songs haven't thrilled you enough for your Halloween Party, then switch to this country song during your Halloween party. Legend of Woolly Swamp has been on Halloween party playlists ever since. This track was damned scary when it came out. I am sure that your Halloween party will burst into passion as long as you play this song. By the way, hitting No. 4 on the Hot 100 in 1984, Thriller is the most-downloaded Halloween-themed song of all-time with digital sales to-date of 3.2 million, according to Nielsen SoundScan. 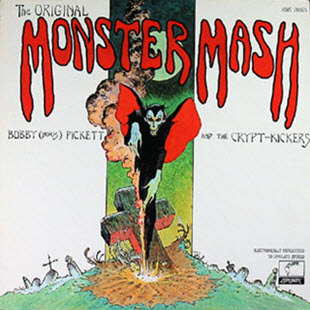 Though it is not a particularly scary track, it is, for many people listening, likely to bring back many memories of Halloween parties of the past. So this song naturally becomes one of the best Halloween party music. With the popularity of the movie, Twilight, this music has crept out and shown up on the list of Halloween party songs everywhere. I loved the song because it talked about Edward's dilemma of wanting Bella to avoid him, and wanting Bella to love him and was composed and sung by Robert Pattinson himself. Like these wonderful Halloween party songs? Well, if you are bothered by maddeningly slow speed network and spotty connection and want to watch and listen all these songs for your Halloween party, check out the free tool that lets you free download Halloween-theme song videos and movies to reignite your party. In the mean time, MacX Video Converter Pro enables you to download Halloween movies and music videos, spooky songs, etc from YouTube, Facebook, etc 300+ video music sharing sites in minutes and transfer to iPhone, iPad, iPod compatible format like MP3, AAC, iPhone Ringtone for playback on the move. Therefore, you can enjoy these music during Halloween party without time limitation. 6. Ghostbusters — Ray Parker Jr.
2. BAUHAUS - "Bela Lugosi's Dead"
3. CALABRESE - "Vampires Don't Exist"
4. CREATURE FEATURE - "Buried Alive"
5. THE CURE - "Lullaby"
6. FEARLESS VAMPIRE KILLERS - "All Hallow's Evil"
7. FROM FIRST TO LAST - "Ride The Wings Of Pestilence"
9. MY CHEMICAL ROMANCE - "Vampires Will Never Hurt You"
10. XMAL DEUTSCHLAND - "Hand In Hand"
This is a list of best Hollywood comedy movies not to be missed, sorting out top 10 Hollywood comedy movies of 2018 and all time for a reference of watching, downloading and storage. Looking for good movies for teens to watch? Find the best teen movies and get the way to download top teen movies or watch teen movies DVD on the road. MacX Video Converter Pro is an all-in-one online video downloader with top quality and fast speed. This feature-rich software can help you easily download Halloween party songs, videos and movies for YouTube, Facebook, Vimeo other webs or for email or playback on iPhone iPad Android devices.